The biggest Mercedes-Benz SUV since 2006 has been the GL-Class and it is, in fact, one of the biggest SUVs money can buy. Australia’s favourite large tow hauler, the Toyota LandCruiser 200 Series, is 170mm shorter and just slightly taller and wider than the big Benz. 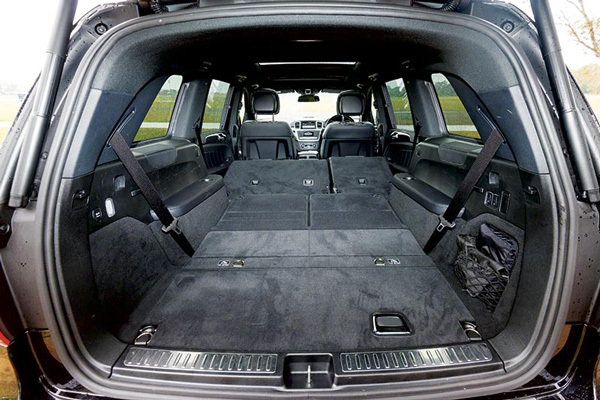 The first-generation GL-Class was replaced in 2012 by the new GL, which was 100kg lighter but still used a monocoque body instead of the familiar body-on-chassis construction used on vehicles like the LandCruiser 200. This is the last year of GL production; next year, the GL will get a face-lift and be renamed the GLS-Class, following Mercedes’ new naming conventions. 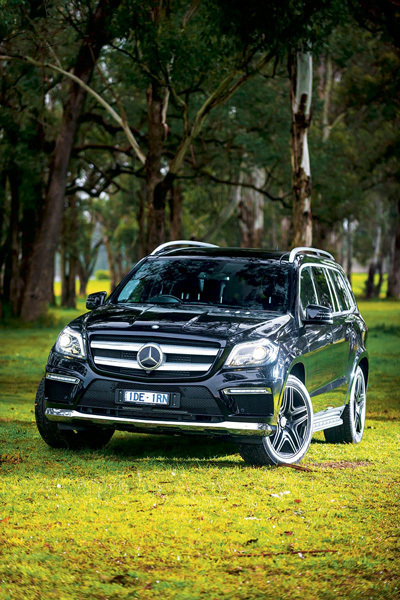 Mercedes-Benz revised the GL-Class earlier this year, adding more value and features to the range. The model we tested here is the Edition S, which incorporates the AMG Sports Package (including AMG bodystyling, AMG flared wheel arches and 19in sports brakes with perforated front brake discs and brake calliper covers with Mercedes-Benz lettering), Active Curve System with active roll stabilisation, tyre pressure monitoring system, 21in AMG wheels in matt black, multi-contour front seats and a wood/leather steering wheel. Edition S exterior styling is also standard. 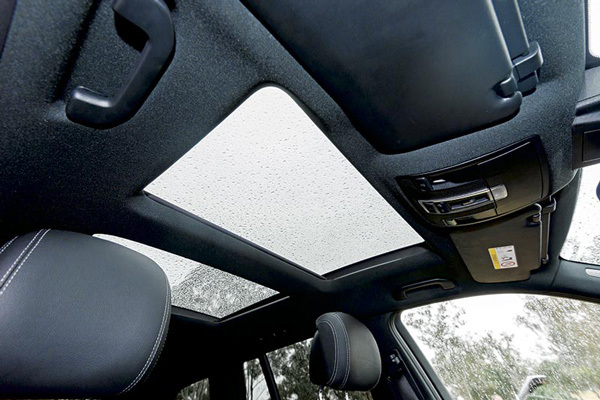 The test vehicle was also fitted out with the $3800 optional Premium Package, which comprises a panoramic glass electric sunroof with tilt/slide function, heated and ventilated front seats with perforated leather, rear sunblind, temperature-controlled cup holders, and laminated safety glass. 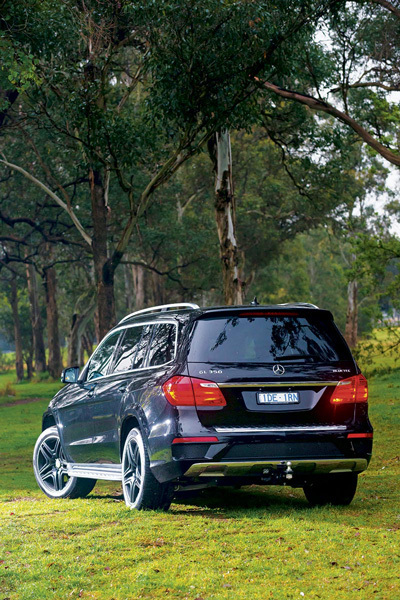 All up, the GL 350 BlueTEC Edition S we tested was $138,310, plus the towbar, brake control and on-road costs. These features are on top of the GL’s already comprehensive features list, which we will only touch on here. The GL 350 BlueTEC has driver’s seat, front passenger’s seat, steering column and exterior mirrors electrically adjustable with memory function, front and rear automatic climate control, Harman Kardon 14-speaker 830W Logic 7 surround-sound system, 17.8cm TFT colour display, HDD navigation with RDS-TMC, 10GB music register, single-disc CD/DVD player with MP3/WMA/AAC compatibility, AM/FM tuner, voice control operation, Bluetooth connectivity, telephone keypad for phone operation and internet connectivity, and keyless entry and stop/start. It also has bi-xenon headlights, active light function, automatic headlamp range adjustment, cornering light function, LED indicators, headlamp cleaning system and adaptive highbeam assist, 360° camera, acceleration skid control, active blind spot assist, active lane keep assist, active bonnet and adaptive brake lights. 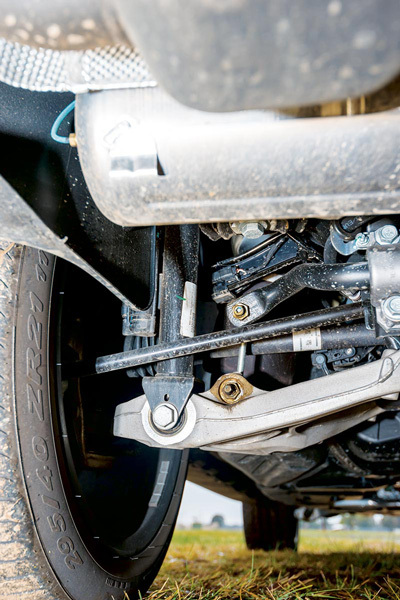 The independent front, multi-link rear suspension features height-adjustable air springs and the combination works brilliantly to give the GL-Class the sort of ride quality you don’t expect on a vehicle riding on 21in, low-profile rubber. The insulation from sharp road shocks is particularly good and over fast undulations the ride is also well-controlled. Helping the GL in its cause is the two-mode suspension settings – comfort or sport – and we found the comfort setting was ideal for most driving, only selecting sport for fast, undulating roads. The GL’s steering was a bit light but had good response and transcribed what was going on at the wheels reasonably well. Driving solo, with mostly open-road use, the GL 350 achieved 10.2L/100km. 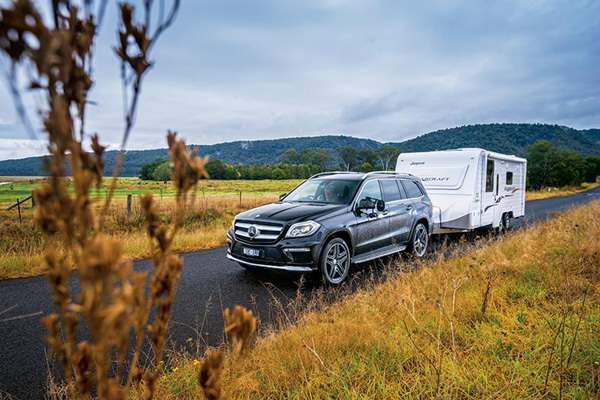 During inner-city driving, the average rose to 13.7L/100km and when towing a tandem-axle caravan, fuel consumption rose to 17.3L/100km. 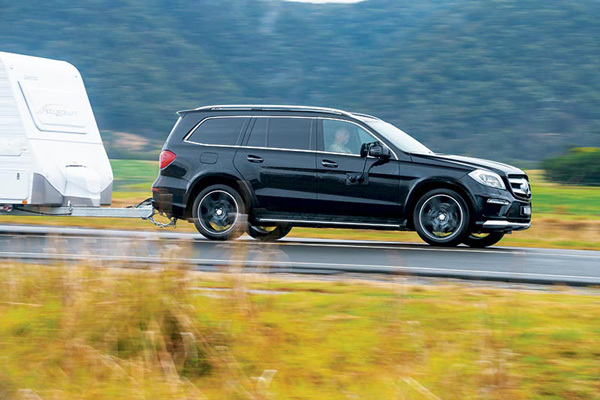 We towed a 2270kg tandem-axle caravan with a 154kg towball download behind the GL 350. 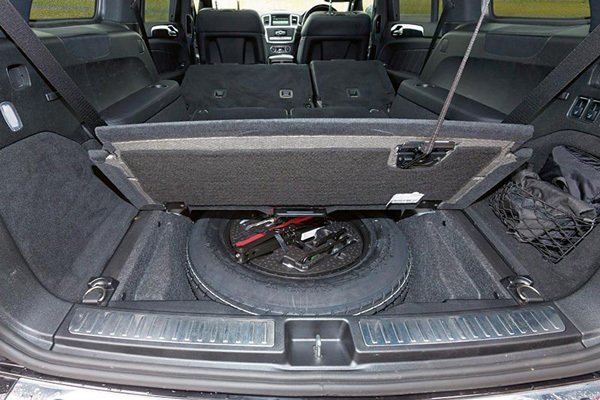 The Mercedes, with its air suspension (and relatively light ball load imposed on it), didn’t dip down at the rear and once on the move barely felt any different to when it was not towing. 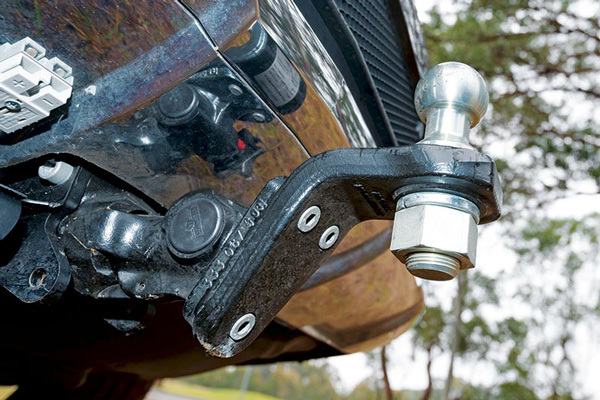 The lag felt off-idle seemed less obvious with a load behind, and the mid-range was very strong when towing. The GL-Class rode beautifully and you had no real sense that you were towing something so big until you looked in the mirrors. Engine braking was not ideal with the free-revving diesel lacking the level of compression braking you’d want to quell speed on a long descent. The side mirrors, with their curved design, were not the easiest to mount towing mirrors to because the clamps tended to work their way around the curve of the mirror shell. Fitting magnetic supports helped. 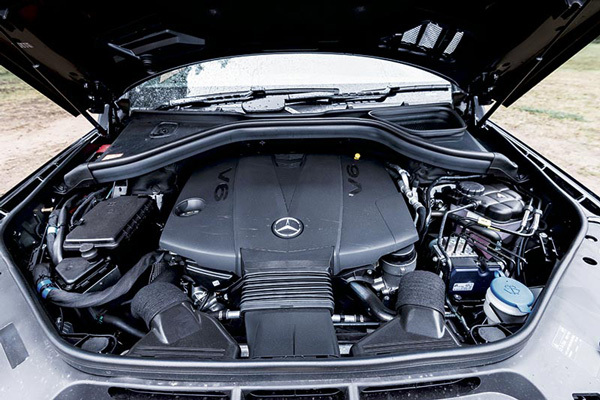 While it is a big truck and feels it to drive in the city, the GL-Class shrinks around you on the open road and has the comfort and road manners to eat up the kilometres with ease. it and there are few other tow tugs on the market that could carry off a lap around Australia with such ease. The full test appears in Caravan World #543 November, 2015. Subscribe today for the latest caravan reviews and news every month!